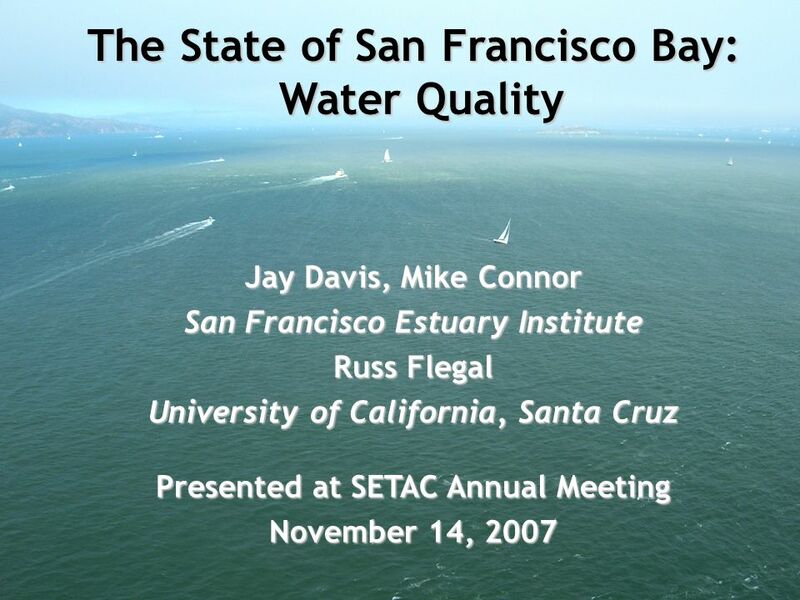 The State of San Francisco Bay: Water Quality Jay Davis, Mike Connor San Francisco Estuary Institute Russ Flegal University of California, Santa Cruz Presented. 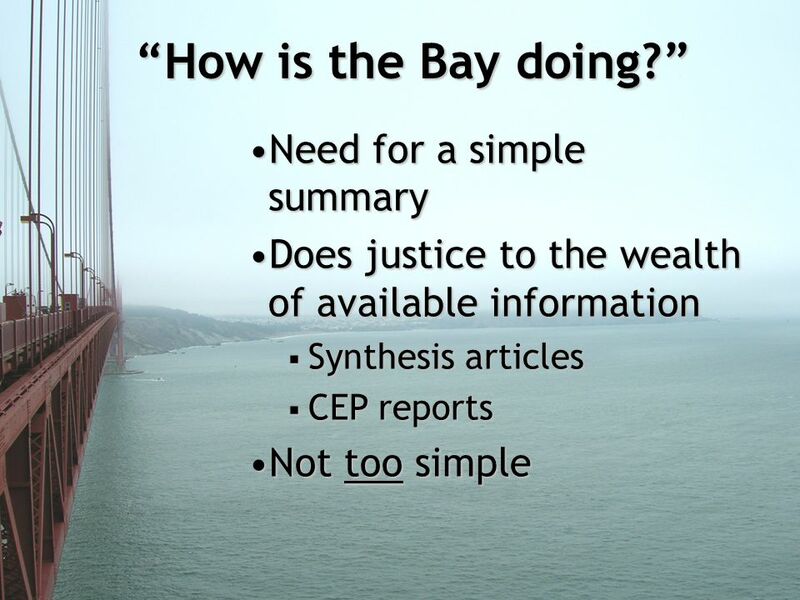 5 Need for a simple summaryNeed for a simple summary Does justice to the wealth of available informationDoes justice to the wealth of available information Synthesis articles Synthesis articles CEP reports CEP reports Not too simpleNot too simple How is the Bay doing? 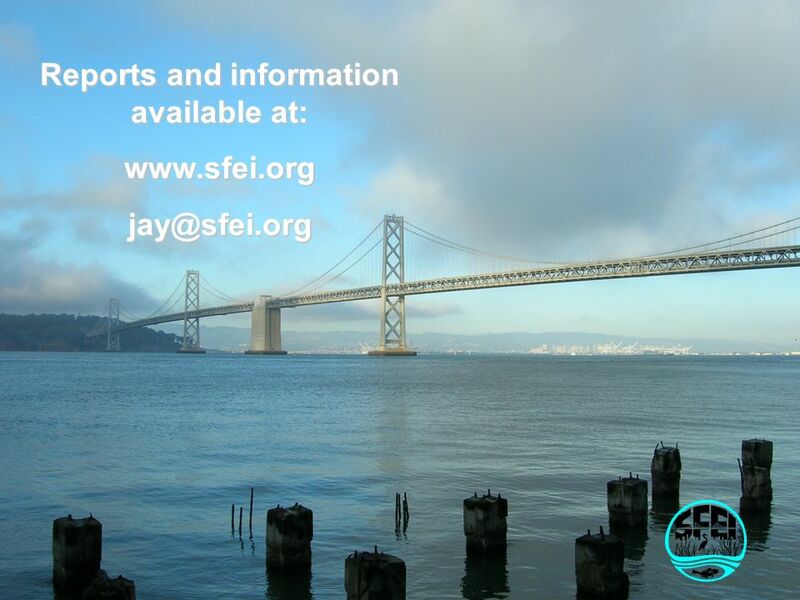 Download ppt "The State of San Francisco Bay: Water Quality Jay Davis, Mike Connor San Francisco Estuary Institute Russ Flegal University of California, Santa Cruz Presented." 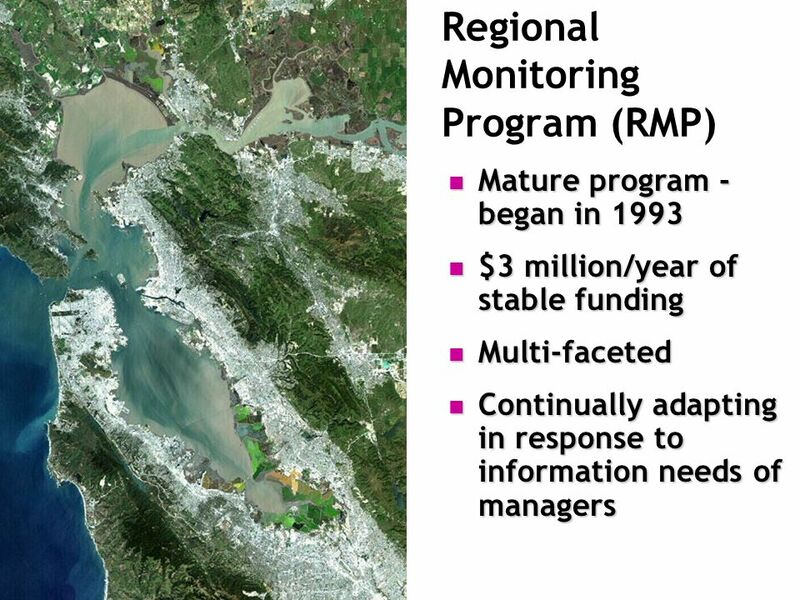 The Clean Estuary Partnership and the RMP Comparing two stakeholder programs producing science in support of policy James M. Kelly, Chair Bay Area Clean. 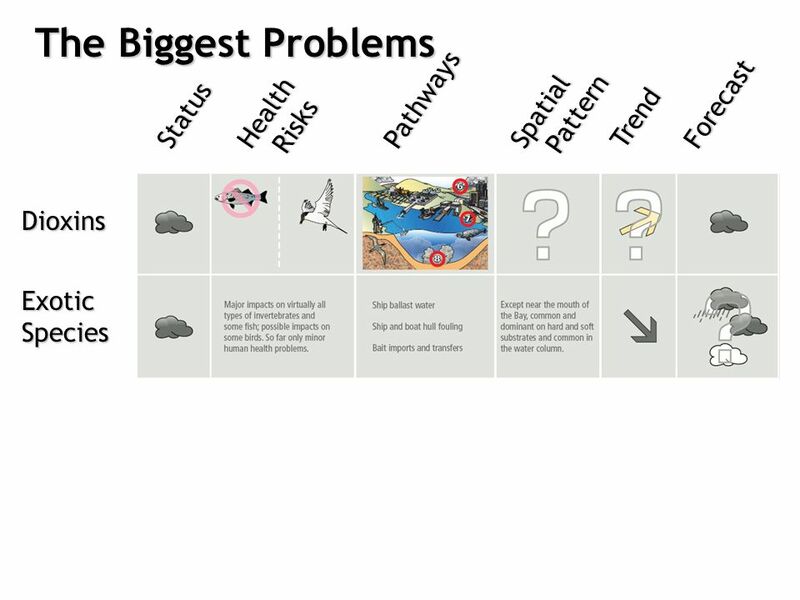 AN OVERVIEW Jay A. Davis San Francisco Estuary Institute. Mercury Strategy Outline RMP CFWG September 14, 2007. 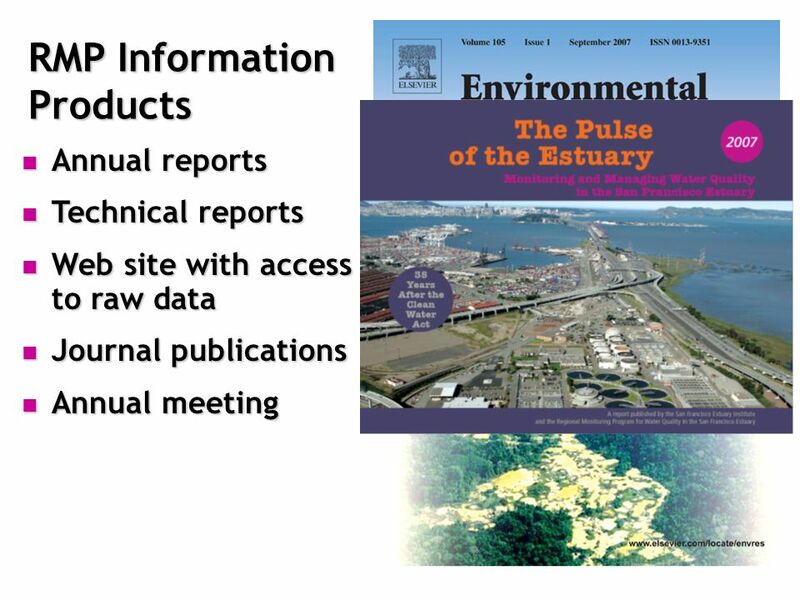 Exposure & Effects Pilot Study (EEPS) RMP Objective #4 RMP Objective #4 Measure pollution exposure and effects on selected parts of the Estuary ecosystem. 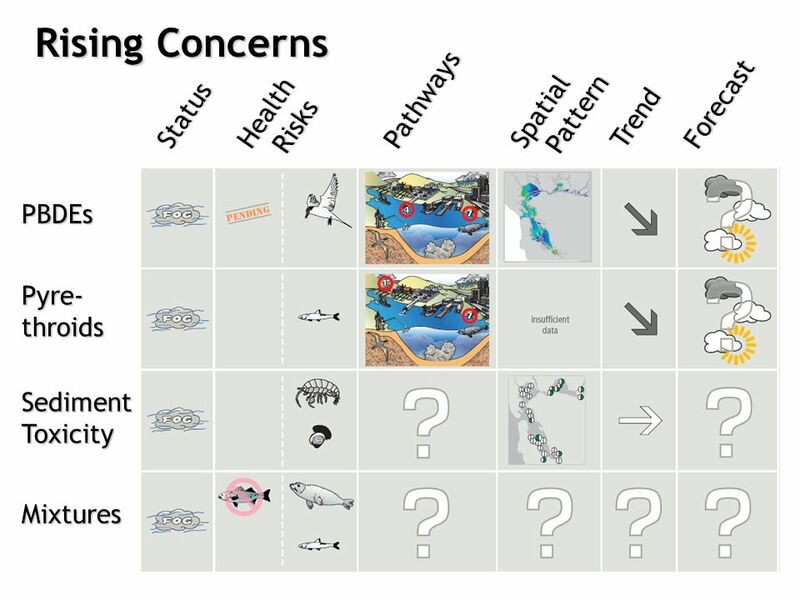 Agenda Item 6 Action: Inclusion of Cormorants in RMP Status and Trends Monitoring Process: 1) Technical report; 2) EEWG review and recommendation; 3) TRC. 2005 Workplan: Data Integration Journal manuscript submitted on OC pesticide mass budget Final report on multibox PCB model 1.0 Journal manuscript submitted. 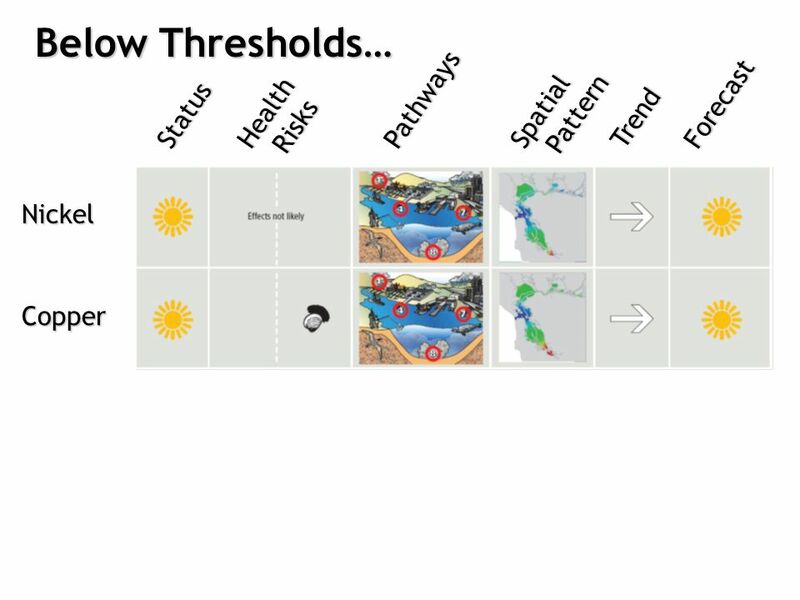 1 Sources Pathways and Loadings Work Group (SPLWG) Regional Monitoring Program for Water Quality (RMP) May 22 nd 2007 San Francisco Estuary Institute Item. 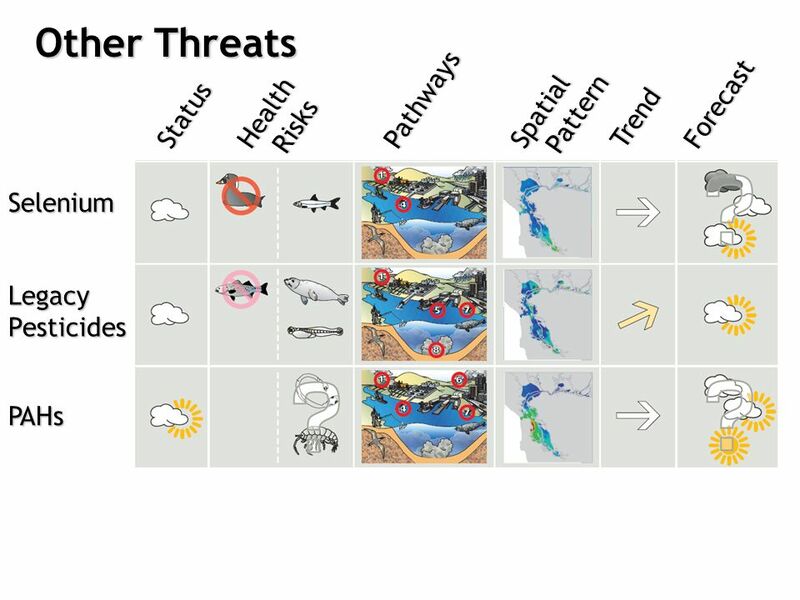 Prioritized Sites for Amphipod TIE Study Identify 12 potentially toxic inter-tidal sites Sample four sites at a time to find two suitable sites for amphipod. 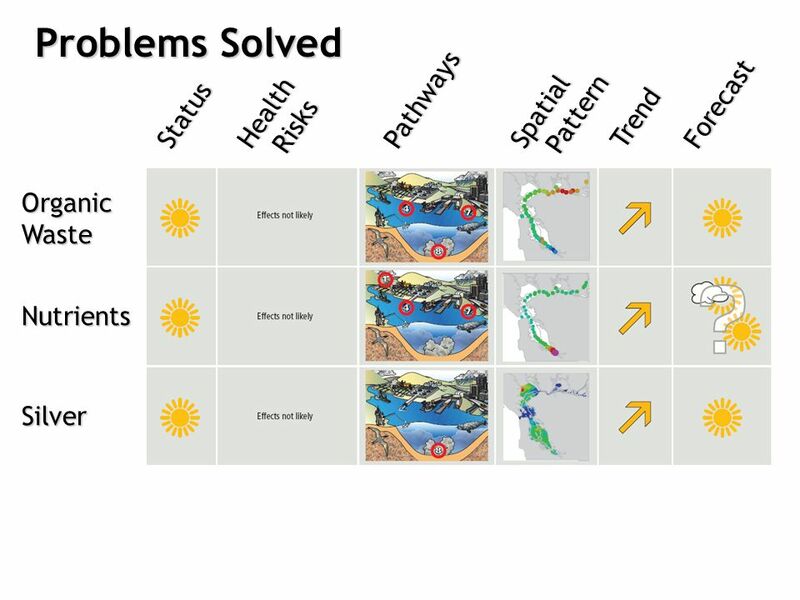 Guadalupe River Small Tributaries Loading Study: Do we continue? If so How!! Lester McKee San Francisco Estuary Institute, Oakland, CA San Francisco Estuary. Contaminant Fate WG 5 Year Plan RMP CFWG Meeting January 15, 2008. 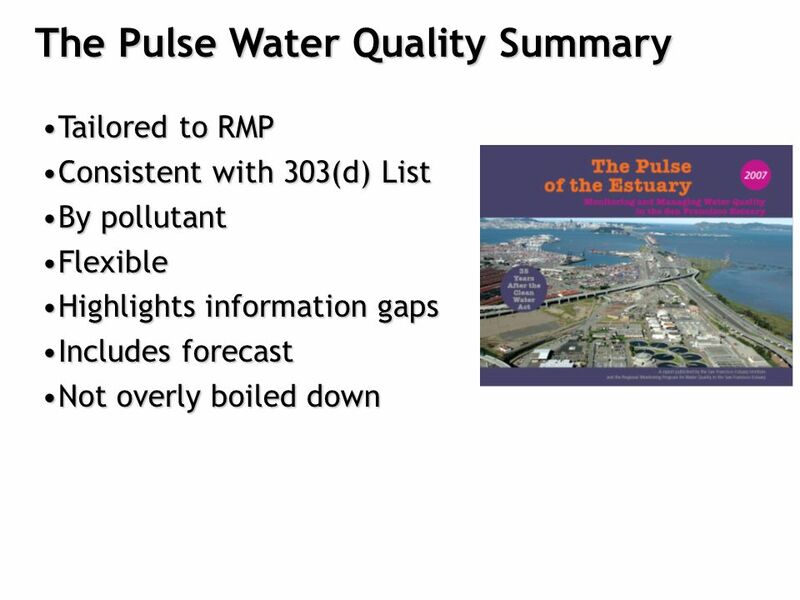 RMP Dioxin Strategy Susan Klosterhaus Sources Pathways and Loadings Workgroup Item #9. Der Ausblick von der Flussmündung Hinauf zu den Bergen Herr Doctor Khalil E. Abu-Saba. Draft data - do not cite or quote Outline Management context Management context RMP objectives RMP objectives Specific questions for the next five years. Adapting the RMP to Answer the Important Questions Keeping the Program Relevant. 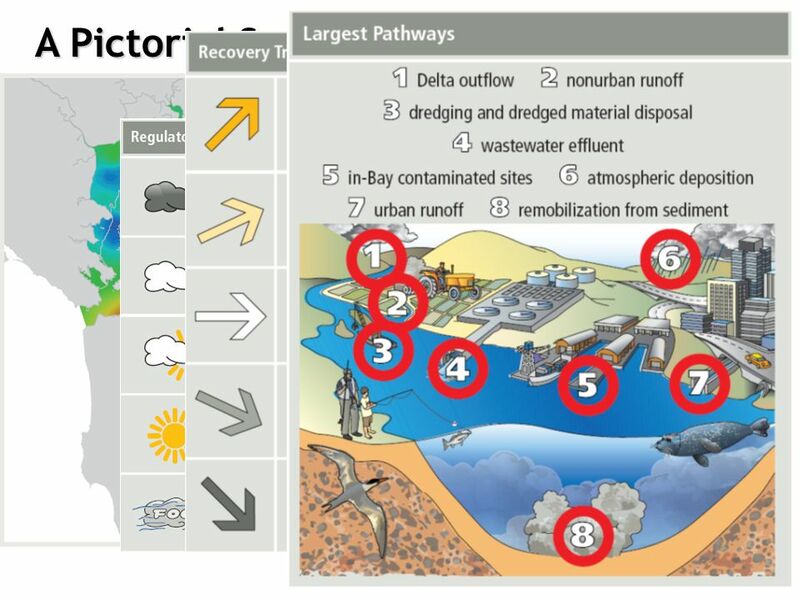 Contaminants at the Estuary Interface Jon Leatherbarrow 1 Rainer Hoenicke 2 Lester McKee 1 1 San Francisco Estuary Institute 2 California Resources Agency. Concentrations and loads of PCBs and OC pesticides in the Guadalupe River watershed Jon Leatherbarrow 1,2, Lester McKee 1, John Oram 1 1 San Francisco. 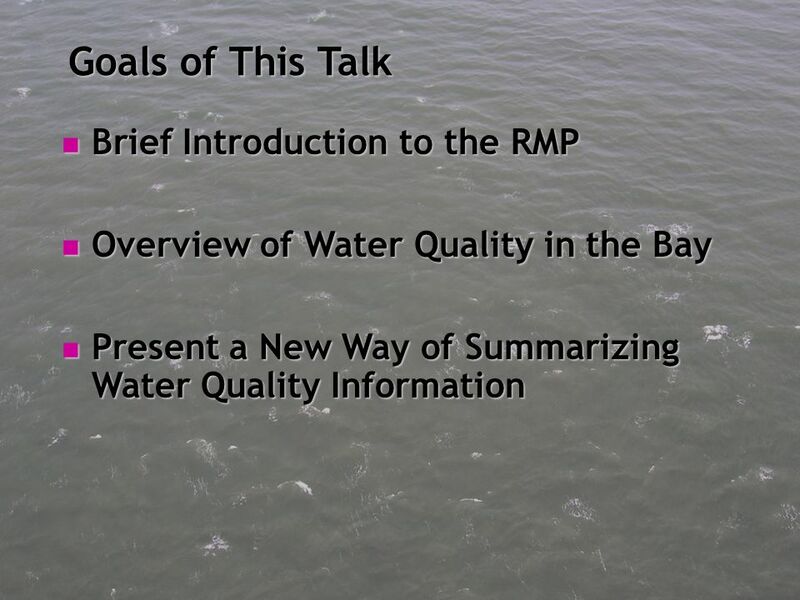 Regulatory State of the Bay Status and Trends Tom Mumley San Francisco Bay Regional Water Quality Control Board. 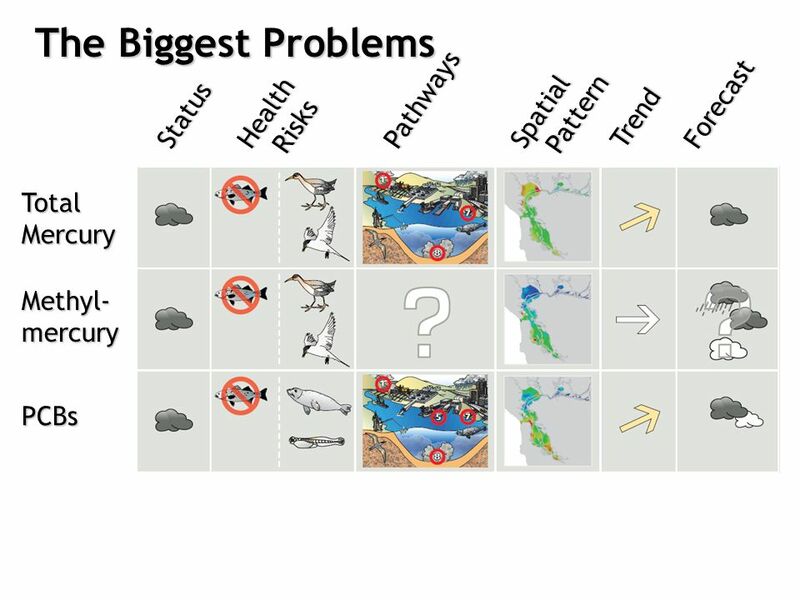 NorCal SETAC 2001 Seafood Contamination and Consumption.